To mark the 70th birthday of the heir to the throne, John Bridcut's film crew observed The Prince of Wales at work and at home over a period of twelve months. 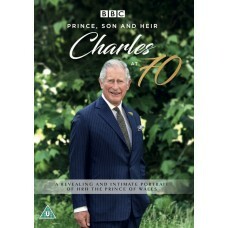 The resulting documentary, originally shown on BBC One, is an intimate portrait of Britain's next king. DVD (regions 2 and 4: PAL). An NTSC DVD is expected in 2019.